As the Senior Web Designer at SOE Software I was tasked with creating a brand-specifc website design in line with our parent company's current online presence, while working collaboratively with my fellow designers. Some of the problems I was tasked with included: creating an extensive product overview, customer profiles, designing for conversion, and more. 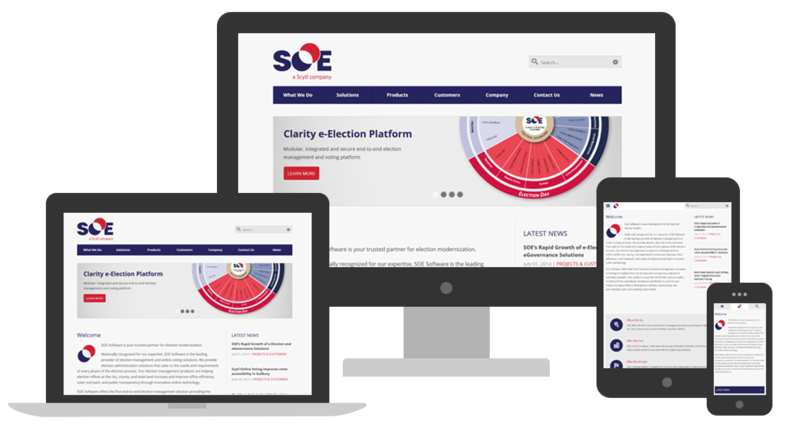 During my employment at SOE Software, I worked collaboratively with fellow designer Kevin Mercier, to create an appealing, responsive website on a WordPress platform, that clearly promotes SOE's election management product and solution options.